CLICK ON THE TITLE TO SEE THE WHOLE ALBUM! It was a wonderful evening and we hope you had great fun! Thank you for your presence, and thank you for all the good you do to our community! NNPCN Volunteers, you are awesome! See you next year, in our AGM 2017! WHEN: SATURDAY, July 16, 2016, 11 AM to 1 PM. The 7th Live Butterfly Release Fundraiser was the biggest butterfly release in the history of NNPCN. 500 Monarch Butterflies and Painted Ladies were released at North Bay waterfront. There were an estimated one thousand people present at the event. Thank you for your participation and support to the cause of free Visiting Hospice and Bereavement Support services in our community! See you next year, at the 8th Live Butterfly Fundraiser 2017, and please bring your family and friends! You can continue to support NNPCN, our LOCAL VISITING HOSPICE, all year through! At Canada Helps, there is an option to become our monthly donor! Please remember NNPCN between your Hydro and telephone bills, and SUPPORT YOUR LOCAL VISITING HOSPICE not only now but all year through! PLEASE DONATE GENEROUSLY TO THE CAUSE OF VISITING HOSPICE PALLIATIVE CARE AND GRIEF SUPPORT IN OUR COMMUNITY. Every year, the Near North Palliative Care Network organizes an open-air event to celebrate the life and memory of your loved ones. Participants have the opportunity to sponsor a butterfly and release it in honour and memory of a loved one who has passed away. 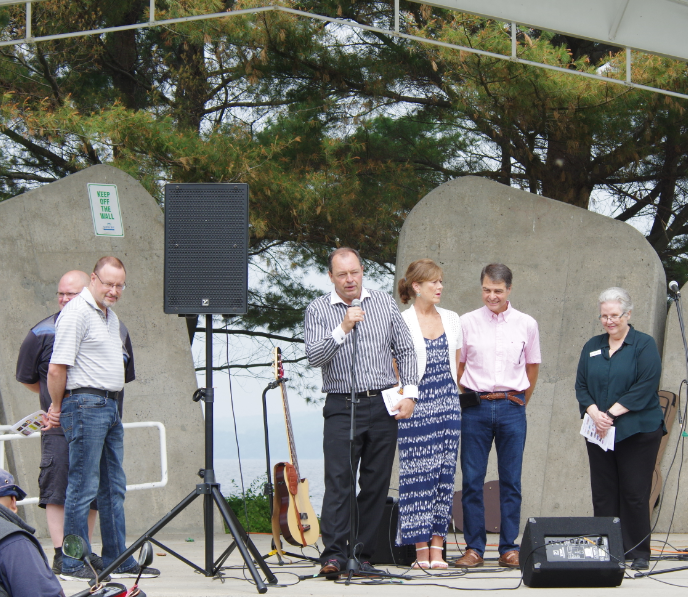 Every year, the Near North Palliative Care Network organizes an open-air event to celebrate the life and memory of your loved ones. Participants have the opportunity to sponsor a butterfly and release it in honour and memory of a loved one who has passed away. The butterflies are delivered in especially tailored packages. These dark and cool conditions keep the butterflies in a comfortable resting state until the day of the release. Once the package is opened, the natural heat and light will awaken these sleeping beauties and inspire them to take flight. The event also includes musical performances, fabulous draw prizes, and a BBQ hosted by the Widdifield Lions Club. This meaningful moment is also an important fund raiser to the Near North Palliative Care Network. Your donation helps us to provide Hospice to Palliative Care clients, Respite to their Caregivers, and Grief Support to those who lost a loved ones. Our services are free of charge and we depend on your generosity to keep serving our community. Your support and constant presence also gives louder voice to the cause of Hospice Palliative Care in Ontario. Thank you to all those who helped make this a reality!